In the winter of 2015, with the publication of Elusive Boundaries: Mapping Creative Nonfiction (CNF) in Canada, The Malahat Review will celebrate creative nonfiction as practised by Canadian writers today. Guest-editor Lynne Van Luven invites them to submit their work for this theme issue celebrating their boundary-disrespecting métier. Creative nonfiction is literary writing based in fact. It can include, but is not limited to, memoir, narrative nonfiction, social commentary, the lyric essay, travel writing, historical accounts, and biography, all enhanced by such elements as description, dramatic scenes, dialogue, and characterization. The Malahat Review endeavours to reflect the wide array of writing that is today categorized as creative nonfiction and does not advocate any one school or style of narrative. However, we do look for stories strongly based in reality that enlighten or educate the reader via fresh insights, powerful use of language, and compelling storytelling. It is not always enough that the stories have a personal basis—they must move the reader into an apprehension of wider human situations or issues. That said, where precisely to draw the borders of creative nonfiction has always been open to question. Malahat invites adventurous writers from across the country (and expatriates outside its geo-political limits) to help chart these elusive borders for us—at least as they appear to fall today—through what they submit to this survey of a genre that has an increasingly more significant place on Canada’s literary map. Elusive Boundaries aims to prove that creative nonfiction is decisively poised to move in from Canadian literature’s hinterland to take the capital—wherever it happens to be. And the Hilary Weston Writers’ Trust Prize for Nonfiction, the RBC Taylor Prize, and B.C.’s National Award for Canadian Non-Fiction notwithstanding, will the outliers of our creative yet non-fictitious literature claim their right and freedom at last to invoke the notwithstanding clause so they may inhabit their chosen place in Canada’s much-contested cultural territory? Malahat also invites Canada’s creative nonfictionists to think critically about their practice. 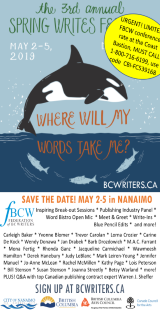 Thoughtful essays about the genre will be considered as well as for reviews of works in creative nonfiction by Canadian authors for Elusive Boundaries. 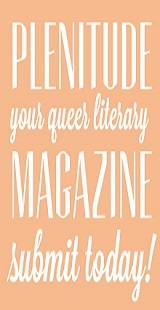 There will also be online exclusives—interviews, etc.—posted on the Malahat website when the print issue is published. 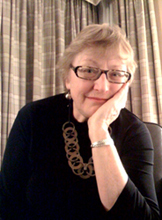 Lynne Van Luven has a PhD in English (Canadian Literature) and has taught journalism and creative nonfiction at the University of Victoria since 1997. The editor or co-editor of five anthologies, including Nobody’s Mother: Life Without Kids and In The Flesh, she is working on a book of personal essays about aging with a sense of humour. Submitters must be Canadians, Canadian residents, or Canadian expatriates. Brief biographical notes must be included in all cover letters. 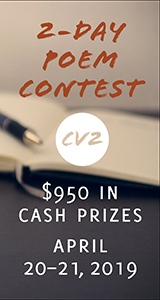 Creative nonfiction and critical-prose submissions may range from 1,000 to 7,000 words in length. Please include the word count in the cover letter and on the first page of all submissions. 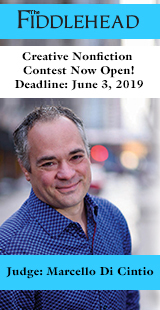 No restrictions about subject or content apply, i.e., simply because the issue will celebrate Canadian practitioners of creative nonfiction, their submissions need not be about Canada only. All topics—from ashrams in India to sweat lodges in northern Ontario—are welcome. Contact information, (full, name, mailing address, and email address) must appear on the first page of all submissions. All submissions must be paginated and double-spaced. The Malahat Review pays an honorarium of $50 per printed page. 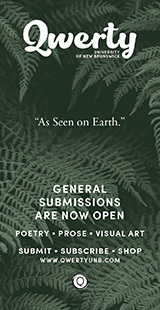 All submissions must be sent to The Malahat Review via Submittable. No submissions sent by regular mail will be accepted.